We are located at the centre of an Area of Outstanding Natural Beauty on the Llŷn Peninsula in North West Wales, and are central to the seaside villages of Morfa Nefyn, Nefyn, Abersoch, and Aberdaron and our local market town of Pwllheli. Come and stay at our luxury modern 5* Bed and Breakfast at our home in the small village of Dinas, or at our traditional Quarryman’s cottage in the village of Trefor. At either location, you can enjoy the freedom, peace and quiet and tranquillity that the area boasts with stunning coastal and mountain scenery and ample fresh air to refresh those tired bodies and minds. Walk stretches of the Llŷn/Wales coastal path, made easy to organise with the aid of a personal shuttle service, or in the Snowdonia National Park. You truly can get away from it all in an area yet to be spoilt by the busy lifestyles of the 21st century. 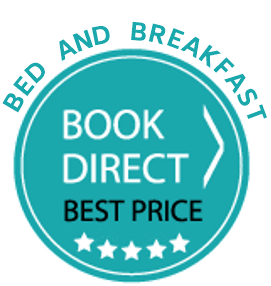 Based on our customer reviews, and our 5* rating from Visit Wales, we can safely say that we are one of the best accommodation providers in the area. We make sure that your stay on The Llŷn Peninsula and in the Snowdonia National Park is filled with pleasant memories and experiences that will make sure that you will return home thoroughly refreshed. Stay for a short break of two or three days or a longer more leisurely holiday; we are here to welcome you to this truly beautiful unspoilt part of Wales. Cewch groeso cynnes Cymreig yma bob tro felli dewch am dro i Benrhyn Llŷn lle y cewch heddwch, harddwch a hen hen hanes. Lle i enaid gael llonydd. "We stayed at Pen Llyn for 5 nights as part of a 9-day Llyn Peninsula coast path walking holiday. Our only regret is that we couldn't have stayed here for the whole trip!! In our opinion Brian and Jane have managed to get everything absolutely spot on - the warm welcome with tea and home made cake, luxurious accommodation, first class breakfasts, tasty packed lunches, helpful local advice and general friendliness all made for an amazing 5 days. In addition, Brian helped us with our transport each day (by taking us to the walk end point with our car and then back to the walk start point). This was invaluable given there is little public transport available directly close to the shoreline." "Everything was great, room was perfect with all the extra little touches that made it special even down to the face wipes provided, tea coffee and drinking chocolate and Brian even provided some local beer to try, couldn't have been better." "Could not fault anything at the b and b, everything was given full attention to detail, the whole stay was wonderful, have stayed in many places in my time and this is top of the list, you could just not better this place is it a 5star +++"
"Fantastic immaculate rooms fantastic breakfasts and amazing hosts can't wait to go back when we need to unwind again. Highly recommended. The rooms are of an extremely high standard. Left feeling totally relaxed and refreshed"
"We received a very warm welcome and considerate attention throughout our visit. Our room was very comfortable and had been decorated and furnished tastefully and to a very high standard. The attention to detail with toiletries and refreshments was 5*. The breakfasts were delicious with a huge selection of locally sourced good quality ingredients freshly prepared and beautifully presented. We could not have been more delighted with our choice of Pen Llyn and will definitely return next time we are in the area." "Such a lovely stay! Brian was extremely welcoming and the cottage was immaculate yet super welcoming and cosy. The fireplace was a particular treat as well as how light each room was, how comfy the bed and sofas were, how every little thing was provided for! we also enjoyed the local activities - quad biking, Caernarfon castle, Pwllheli, perfect." 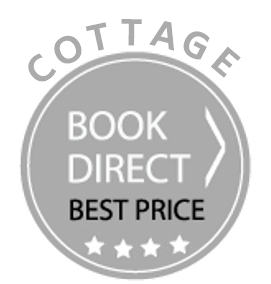 "When Brian the owner met us with the key he brought us fresh milk and some of his wife,Jane's homemade cake which was delicious and very thoughtful.The rooms were all very clean and comfy and the cottage contains all the items needed for a great stay,would highly reccommend it to anyone." "Very friendly, helpful host. Brian took time to go over maps and suggested things to do. There was milk in the fridge for making tea/coffee and some lovely home-made cake. The cottage was more than comfortable, with everything you could need, well located and beautifully maintained. I hope to stay here again." © Pen Llŷn Accommodation. All rights reserved.